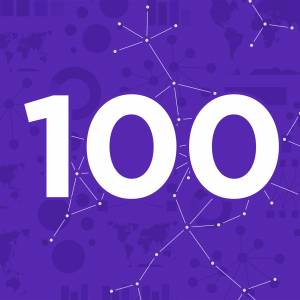 100 | Data Stories 100!!! It seems almost impossible right?! And yet, here we are with our 100th episode! Data Stories has been around for more than five years and now we mark this big milestone. This is a good opportunity to thank all of you for listening to us and for supporting us with your comments, ideas and suggestions. It is also a good opportunity to thank all of our guests for making this show possible and donating their time to us. In this episode we review some of the most successful episodes, talk about the major categories of episodes, and recollect some funny moments from recording the show. We also have a surprise segment where we reveal the “behind the scenes” of Data Stories. For this special occasion we also prepared a first version of the Data Stories Dataset, a dataset with information extracted from Data Stories that you can use to create interesting visualizations. Let us know if you make something out of it! Finally, don’t forget our crowdfunding initiative! You can support us on Patreon by pledging a fee for every episode we publish. We’re counting on you to switch to this crowdfunding model next month.